How did you end up getting on the Maybach Music album? Ross [extended the invitation]. We recorded in Daddy’s House one day. He just called me over. He let me hear the whole album. He said, ‘What song you like?’ I told him which one I liked ["Big Bank"] and he told me to put a verse on it. He called me three days after. like, "Look, I need your name on this." That was it. Prior to your signing with Bad Boy, there were rumors that you had deals with Maybach Music and with G.O.O.D. Music on the table. Any of those factual? My album is going to be executive produced by Puff and Rick Ross. It’s gonna be co–Bad Boy/MMG. Maybach’s a part of my deal. [Other labels that pitched deals] was G.O.O.D. Music, Roc Nation, Sony, Def Jam, Interscope—if you can name them, it was on the table. [The decision to go to Bad Boy came] when I sat down with Puff. He let me get anything I wanted. He met everything I wanted. When I sat down with everybody else, they were still kind of like [hesitant on meeting my deal demands]. 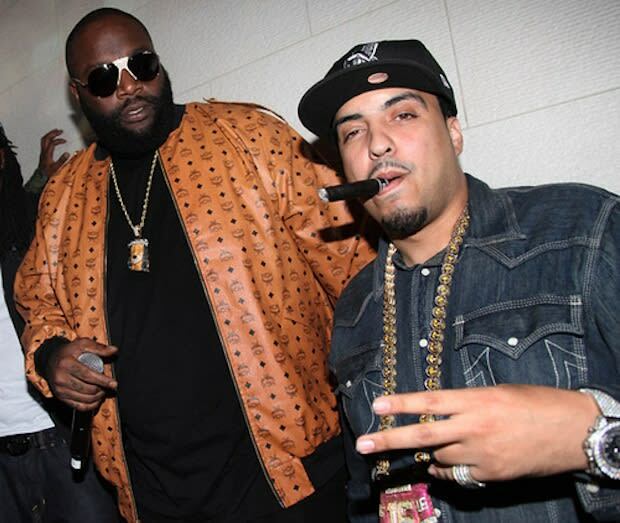 For Puff to bring Rick Ross to be a part of my situation was excellent for me. My album is going to be executive produced by Puff and Rick Ross. It’s gonna be co–Bad Boy/MMG. Speaking of Kanye, didn’t we see you backstage at the Watch The Throne tour? Kanye invited me there. Shout-out to Kanye. He’s definitely one of my inspirations and I look up to him. I appreciate everything he did. Definitely shout-out to Jay-Z and Kanye. They’re legends. I had fun that day. I was just kicking it with them since they invited me to come.